Two lost walkers were rescued from a fell in the Forest of Bowland. The operation to find the pair was one of four callouts in five days for the Bowland Pennine Mountain Rescue Team. The team was alerted about 3.30pm on Sunday by Lancashire Police, who reported the walkers were lost in the Fair Snape and Holme House Fell area. A team spokesperson said: “With reports indicating that one of the walkers was in the early stages of hypothermia all haste was made to start searching as soon as was practicable. 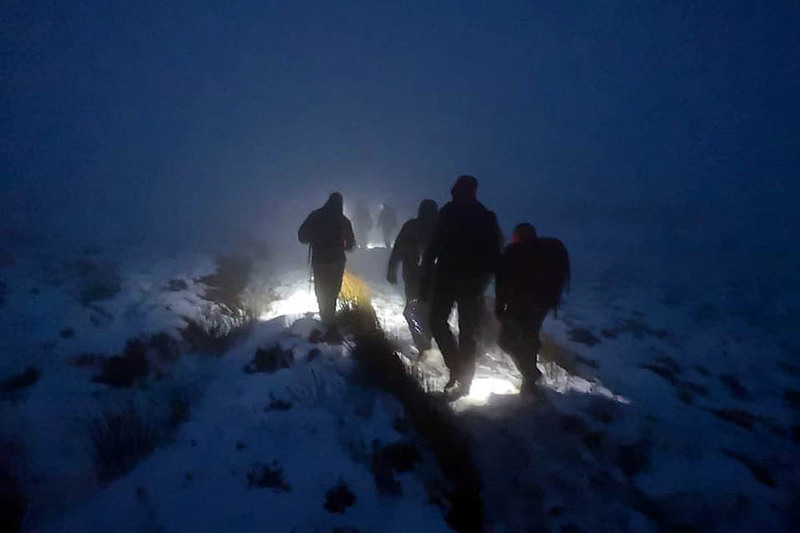 “After two hours searching across Fair Snape Fell, Holme House Fell, Parlick and Saddle Fell, both walkers were located by mountain rescue team members at the high point between Fair Snape Fell and Saddle Fell. The previous day, team members’ help was requested about 4.30pm by ambulance staff when a 60-year-old man slipped on an icy slope on Warton Crag, north of Carnforth, breaking his thigh bone. The previous Wednesday, team volunteers joined a search in the Banks area near Southport for 81-year-old Alec Baxter who had been reported missing. While returning from the search, team members were alerted by the ambulance service to a 17-year-old who had suffered back and hip injuries while sledging in the Scorton area. The spokesperson said: “Once on scene the rescue team evacuated the young lady using our mountain rescue stretcher and with the paramedics on scene we administrated our pain-relieving drugs.